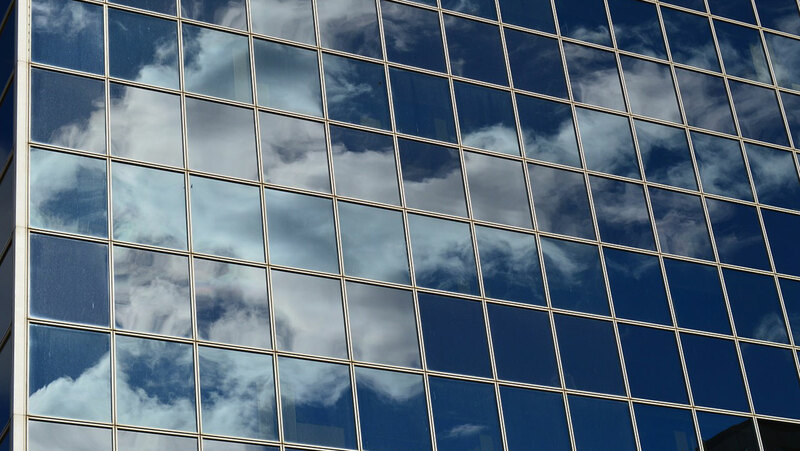 With the installation of commercial window film, Denver businesses of all kinds can receive numerous benefits from energy savings to an instant style infusion. So you might be wondering, how can one product do all that? Simple! We are not talking about one product, but an entire category of products. When it comes to window films, Denver businesses have a variety of different types, each with different benefits and applications. They are suitable for offices, store fronts, retail shops, hotels, hospitals, factories, convention centers, municipal buildings . . . in fact, any building with windows or other glass surfaces such as partitions, walls, or glass doors. Window film, Denver businesses are starting to realize, is a smart investment if you are interested in reducing your overhead, particularly your heating and cooling expenses. With the extreme Denver climate, these expenses can be pretty formidable. Heat in the winter, air conditioning in the summer: the costs add up. The product you would be looking for in this instance is an energy-efficiency window film, Denver! Have you heard of this product? Installed to the inside of your windows, it effectively keeps your building cooler in the summer by blocking heat gain through the glass. The results are less work for your air conditioner and less cost to you. Likewise, this exact same energy efficiency window film will prevent the heat generated by your furnace from drifting right out through the glass in the winter. Again, less work for your heating system and less cost to you. However, as we mentioned, with our diverse line of window films, Denver businesses can receive many other benefits as well. With our security/loss prevention window film, you can rest assured that your windows will no longer be the weak link in your security system. Once this product is installed, no thief or vandal will be breaking in through the windows. And how about anti-graffiti window film, Denver downtown businesses? There appears to be no stopping the spread of graffiti or changing the minds of those who believe it is a valid form of street art. But if you don’t agree and you find someone has added graffiti of any kind to your windows, simply remove the anti-graffiti film. And bye-bye, graffiti. If your business could use a bit more privacy, one of our decorative or privacy window films on front windows, doors, glass walls, etc. can give you the privacy you are looking for. And depending on the style, color, or pattern you choose, it can also add an instant style upgrade to your premises. So if you are looking for any kind of commercial window film, Denver or anywhere up and down the Front Ranger, please contact us today.